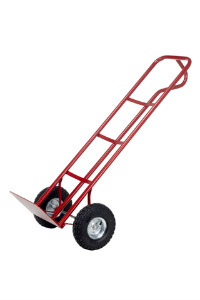 Although it is possible to navigate a small step with a standard sack truck, stairclimber models make it so much easier and can even be used to go up and down a staircase. The clever 'star' wheel system of this truck ensures that there is always one wheel in contact with the ground when going over a step. 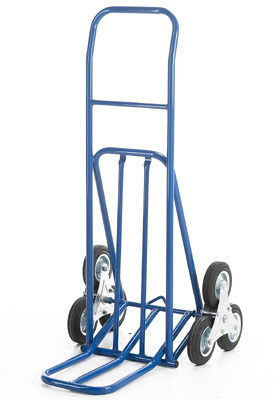 The large toe folds and locks to the frame for compact and convenient storage. Important Note: Only to be used on solid backed steps.